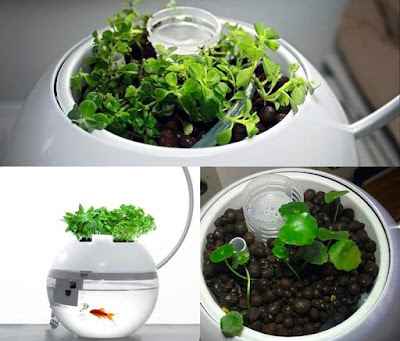 Looking for some cool aquarium or aquaponic garden for your home? 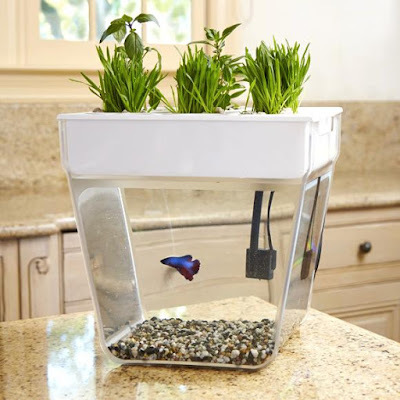 Look no further, we have the coolest aquariums and aquaponic gardens for your home. AquaSprouts Garden: AquaSprouts Garden is a self-sustaining aquarium and garden. 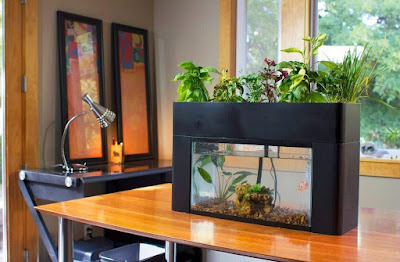 It turns any 10-gallon aquarium into an aquaponic garden. It lets you grow your favorite veggies, and herbs all-year-round. The fishes provide nutrients for the plants and the plants clean the water for the fishes. It uses clay pebbles to support your plants. The timer turns on the pump every hour for 15 minutes to bring water from the aquarium to the grow-bed. Buy Now: $169.95. 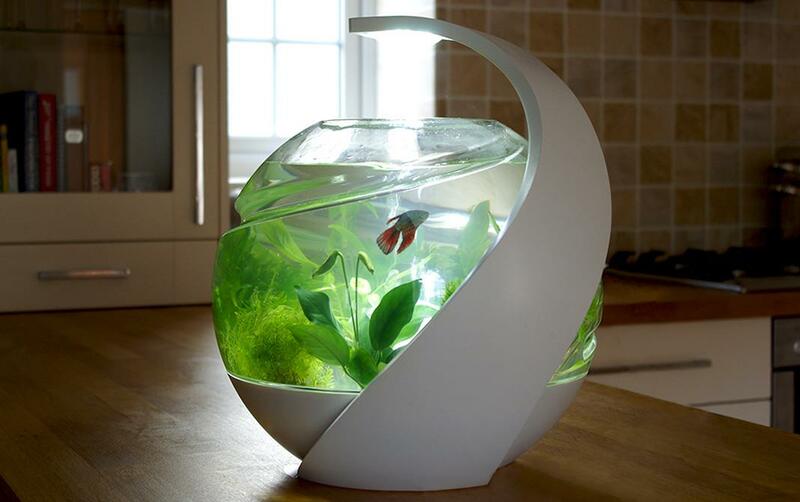 Water Garden: The Water Garden is a self-cleaning fish tank that grows food. The fishes provide nutrients for the plants and the plants clean the water for the fishes. Buy Now: $ 59.99. 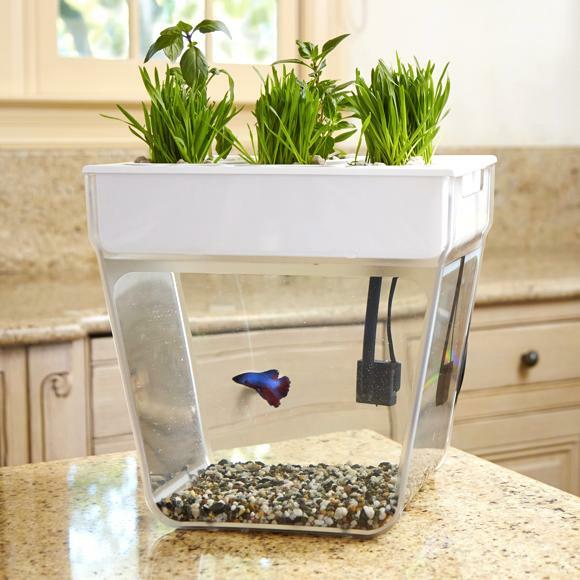 Ecoqube C: Ecoqube C features a durable, portable, and compact design; lets you bring nature into any space and it's remote controlled. 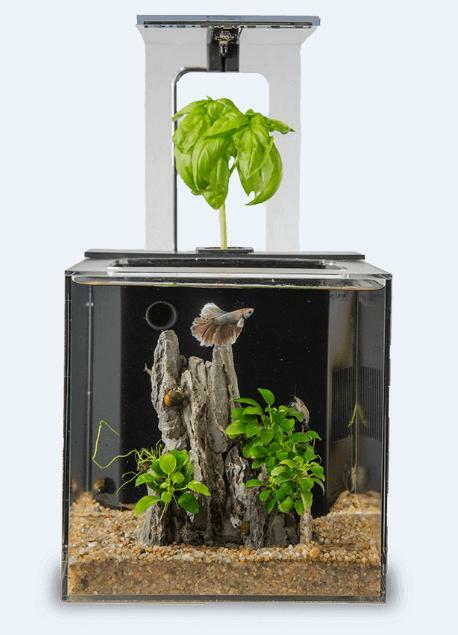 It uses aquaponics filter to create an all-in-one system that uses plants like basil or mint to keep your aquarium clean. And it's easy to maintain and comes with automatic functionality. Buy Now: $129.99. iMac Aquarium: Made from used Apple G3 iMac, this iMac Aquarium is ready to use right out of the box. Buy Now. Coffee Table Aquarium: This coffee table comes with a base that is a fully functional aquarium and comes with beleveled glass that makes sure when you place things on the table it will not disturb the fish. Buy Now: $750. 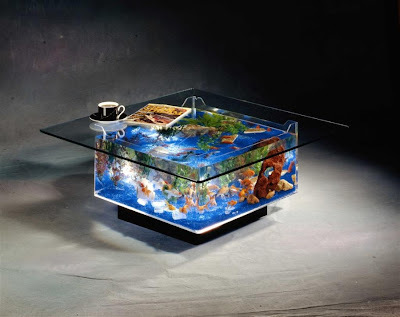 Isisaquarium: This is a beautiful aquarium designed for beautiful living spaces. Its elegant, yet functional, this 25 gallon design measures 31" inches wide, 16" inches in diameter. More info. 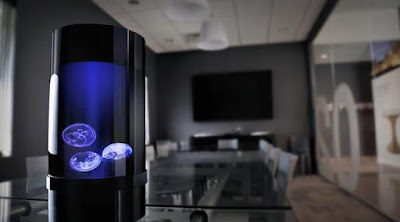 Jellyfish Aquarium: The Jellyfish Cylinder Nano aquarium comes with all the things you need, all you need to do is fill in the water. The live jellyfish is shipped to your doorstep. It provides an easy and affordable solution to keep jellyfish for you. It features special laminar water flow pattern, integrated filtration, whisper quiet air pump, and color changing light controlled via remote control. Buy Now: $339. 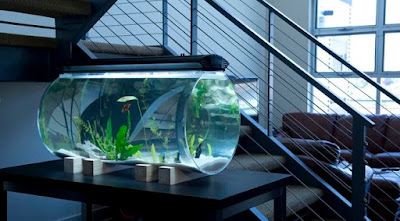 EverClean Aquarium: The EverClean Aquarium is a 30-gallon designer aquarium that changes the way you keep fish. 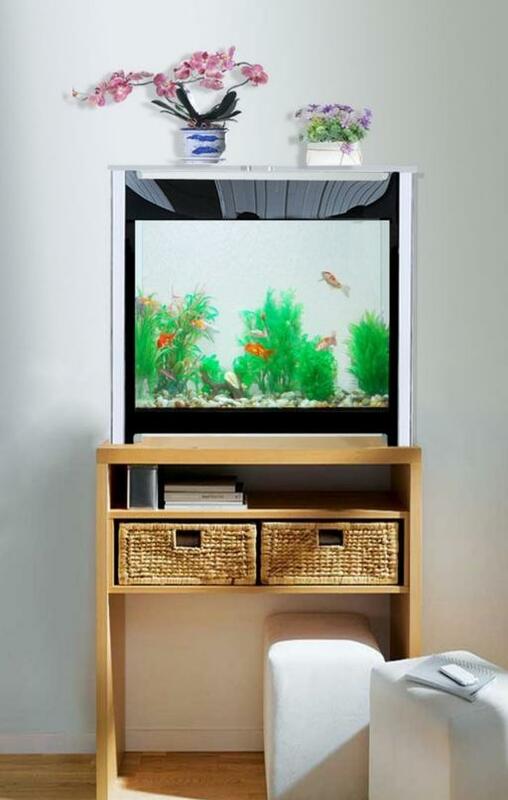 With its patented EverClean Filter you need no more vacuuming; it automatically extracts fishwaste from the bottom of aquarium to the top for easy cleaning. Buy Now: $899.99 - $1199.99. 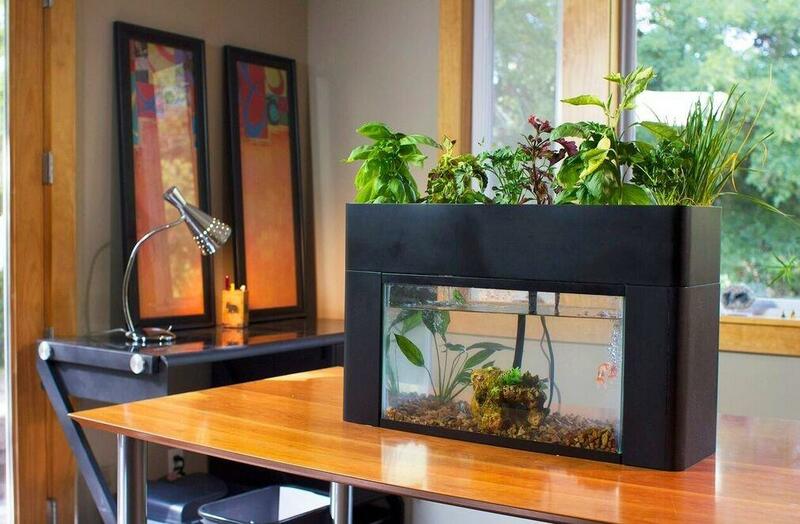 Microfarm: The Microfarm is an aquaponic garden that requires almost no maintenance. 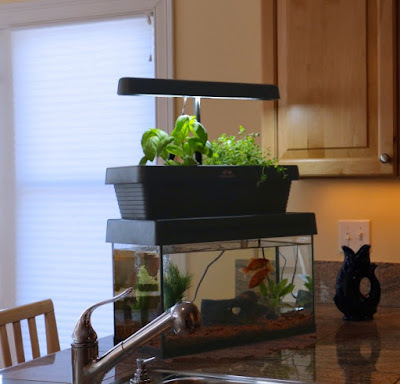 It goes right on top of a 10-gallon aquarium and lets you grow your favorite veggies, and herbs all-year-round. Buy Now: $ 199. 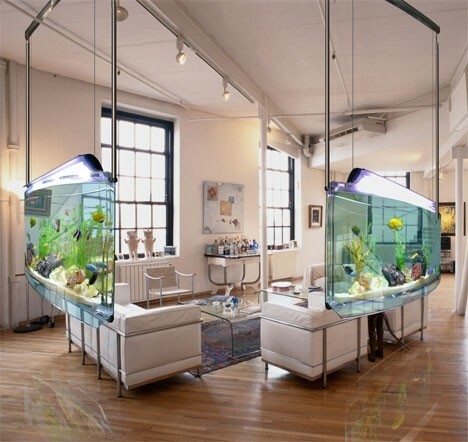 Norrom Aquarium: The Norrom Aquarium gives uncluttered space for your fish in its elegant design. 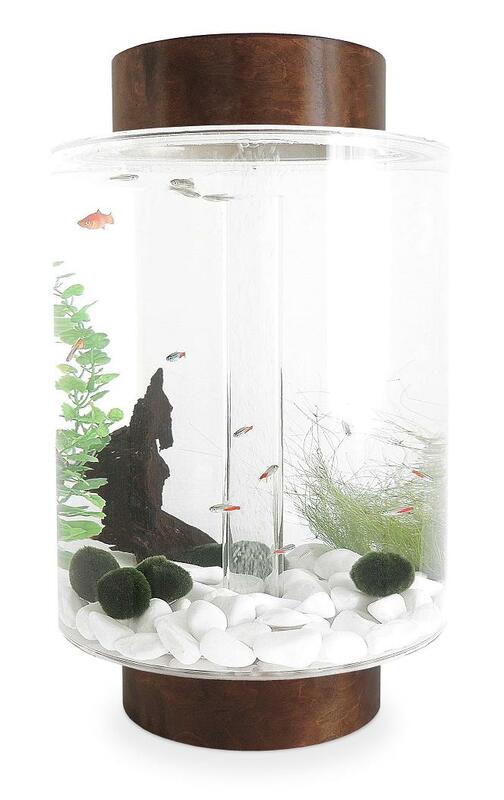 The lighting, air pump and filtration systems sit at the bottom. 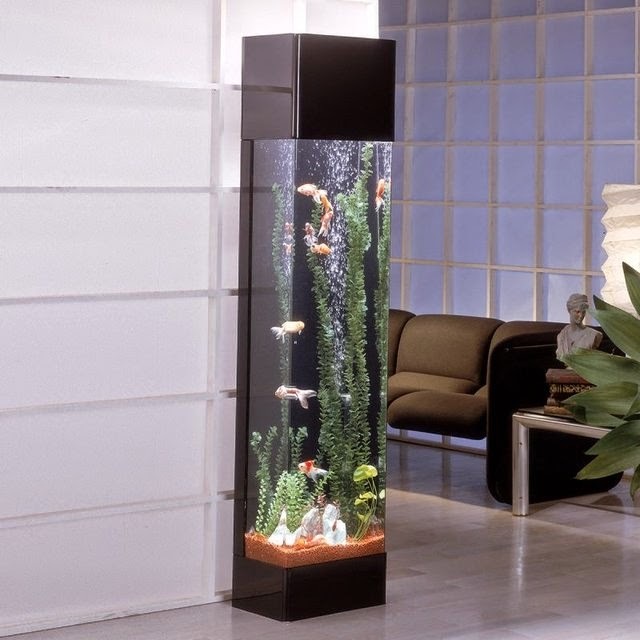 This 40 litre freshwater aquarium comes with interchangeable tops and bases that can be customized as per your requirements. Buy Now: About: $ 370 - 437 (£279 - £329). 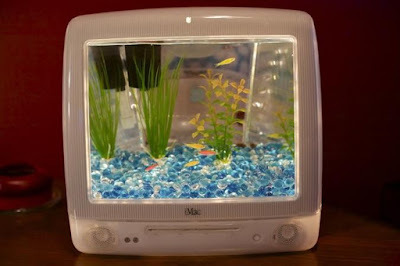 Avo: Avo is a self-cleaning tropical fish aquarium. It features a self-maintaining filter system, automated heating, plant specific lighting and a modular planning system. More info. Hangingaquarium: Its made from acrylicglass, uses stainless steel tubes for support. Available in three diagonal sizes: 5 feet, 6 feet and 8 feet. Buy Now: From $6,000. 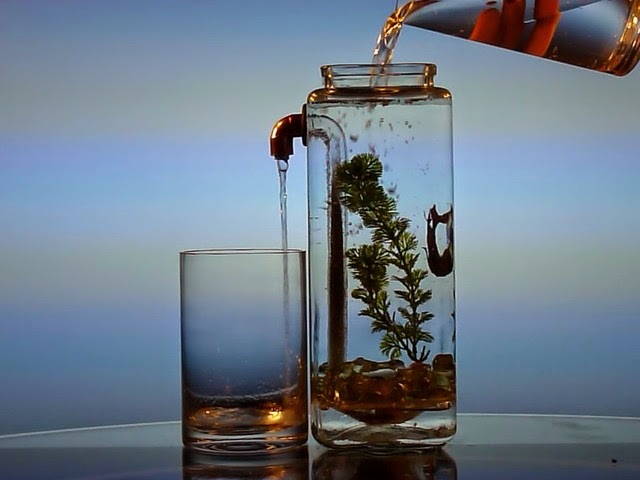 NoClean Aquarium: The NoClean Aquarium makes maintaining an aquarium really easy; all you need to do is pour a glass of water into the aquarium and it cleans itself. What more, it requires no electricity and filters too. Buy Now: $77.77. Tower Aquarium: This Tower Aquarium takes minimal floor space, has 30 gallons capacity and features a concealed filtration. Buy Now: $900.